Newtongrange Silver Band, for the first time in its 125-year history, is to appear at this year's Edinburgh Festival Fringe. 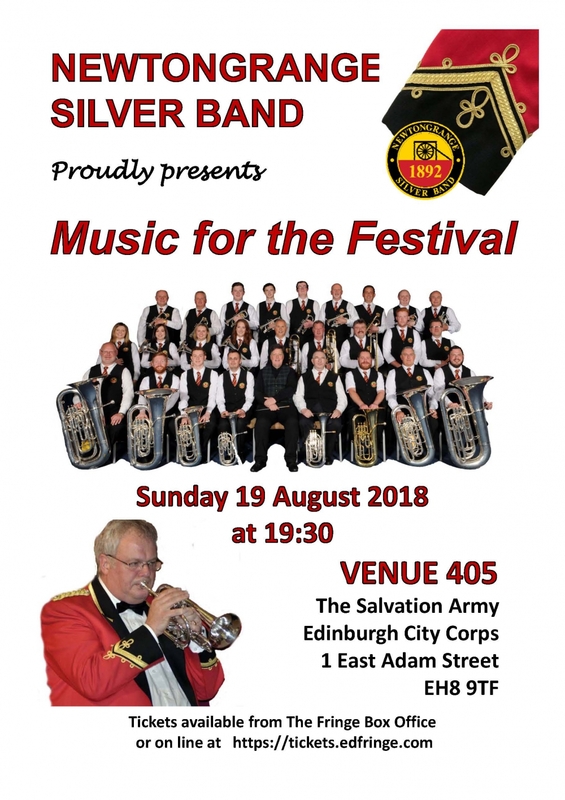 The Midlothian outfit will perform at Venue 405, the home of the Edinburgh City Corps of The Salvation Army, on Sunday, 19 August. Tickets for the event, which begins at 7.30pm, are available from the Fringe Box Office or online at https://tickets.edfringe.com.